If we were able to select a soundtrack to play while we wistfully float into dreamland at night, A Minor Bird would be our musical accompaniment of choice. 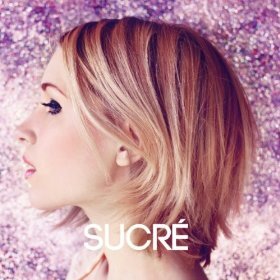 Sucré is the solo project of Stacy King, whom some of you might recognize from a little band called Eisley. King, along with husband Darren King of MuteMath and producer Jeremy Larson, set out to create a record that carries more than just pretty tune; the music envelopes the listener in a soft embrace you’ll never want to let go. Larson’s string arrangement and Stacy’s angelic vocals throughout the single “When We Were Young” left us feeling entranced and reminiscing of the days of princesses and tea parties. We fell in love with soft meets funky vibe on “Chemical Reaction.” Tracks such as “Troubled Waters” and “No Return” have us recalling early Björk, with its light and whimsical flare. Sucré’s A Minor Bird weaves Stacy King’s airy lyrics with swelling string arrangements that continues to haunt us long after the album has ended. Make sure to catch Sucré touring this spring in support of their debut album.